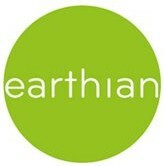 earthian: 5 Levers of Change! To coincide with a public debate on mainstreaming sustainable living, Unilever has on November 23 published the behaviour change model its marketers use to encourage sustainable changes in consumer living habits: ‘Five Levers for Change’. Based on Unilever’s long history of research and insights into consumer behaviour, the tool is based on a set of key principles, which, if applied consistently to behaviour change interventions, increases the likelihood of having an effective and lasting impact. Unilever is sharing the model in the hope that others will find it helpful and use it to inspire people to turn their concerns about sustainability into positive actions. Make it understood. Sometimes people don’t know about a behaviour and why they should do it. This Lever raises awareness and encourages acceptance. Make it easy. People are likely to take action if it’s easy, but not if it requires extra effort. This Lever establishes convenience and confidence. Make it desirable. The new behaviour needs to fit with how people like to think of themselves, and how they like others to think of them. This Lever is about self and society. Make it rewarding. New behaviours need to articulate the tangible benefits that people care about. This Lever demonstrates the proof and payoff. Make it a habit. Once consumers have changed, it is important to create a strategy to help hold the behaviour in place over time. This Lever is about reinforcing and reminding.